Finaflex 1-Andro by Redefine Nutrition is a very good non methylated prohormone for mild gains. 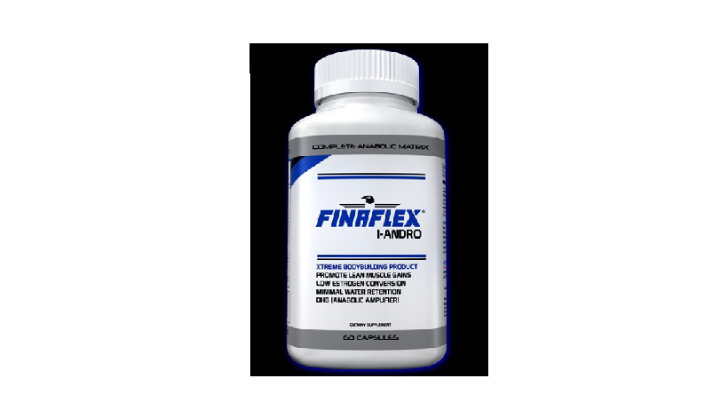 Finaflex 1-Andro contains mainly 3-hydroxy-5alpha-androst-1-en-17-one which is a 1-Androsterone (1-DHEA) prohormone that converts to the 1-Testosterone compound. This is one of the safest and mildest prohormone on the market. Don’t expect it to give you strong muscle and strength gains but you will have some good results from it. You can also stack Finaflex 1-Andro with another prohormone ! Redefine Nutrition brings you one of the best non methylated prohormone to get some great lean muscle gains : Finaflex 1-Andro. Finaflex 1-Andro contains a complex of two ingredients : 3-hydroxy-5alpha-androst-1-en-17-one (1-DHEA / 1-Androsterone) prohormone which converts to 1-Testosterone and Bergamottin (6,7,-dihydroxybergamottin) which is an anabolic amplifier. Finaflex 1-Andro is the ultimate prohormone if you are looking to pack on some muscle mass, middle size and strength gains… This is the perfect prohormone for beginners and even for advanced users for prohormone stacks. Where to buy Finaflex 1-Andro – Redefine Nutrition ? Finaflex 1-Andro is no longer available on the market. We recommend you to read our article about the best prohormones of 2019. Want to share your review for Finaflex 1-Andro – Redefine Nutrition ? Want to buy real andro not fake ones!